As a professional photographer, it’s essential to have a professional portfolio that shows your best work. 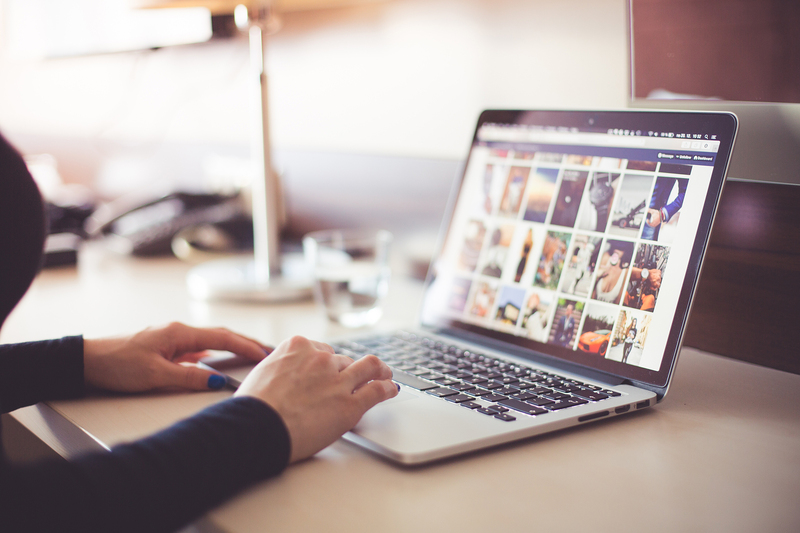 Many photographers use social media as a platform to show their work these days, but a comprehensive portfolio is still the strongest marketing tool for a photographer to put the brand out there and get clients. It’s important to build a portfolio that is effective and powerful, so you can get the attention of your potential clients, show them your best photos and capabilities, and convince them to hire you. But how to create a photography portfolio that satisfies these requirements? 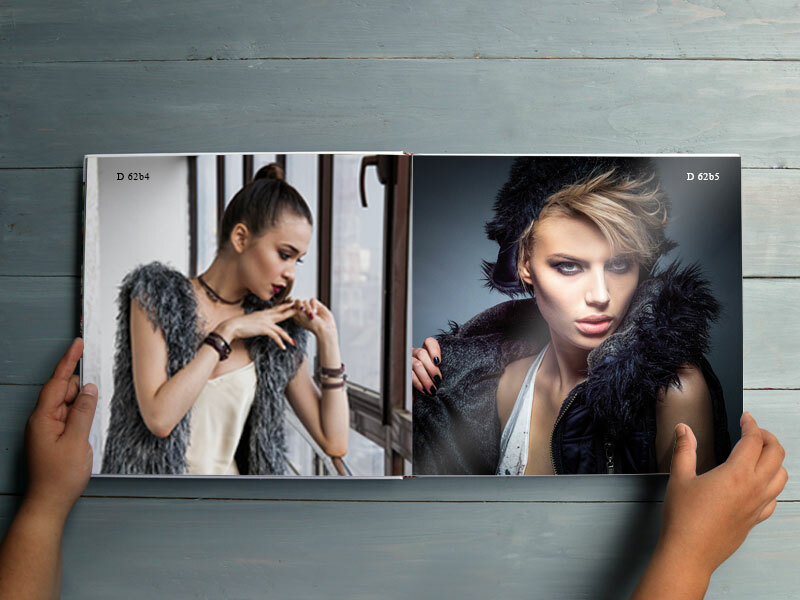 Here are a few tips on how to make a photography portfolio that engage your potential clients and drive sales. The design of your portfolio will depend on which type of photos you take. If you’re a photojournalist, you probably want your photography portfolio to be professional and to express your sense of curiosity and adventure. 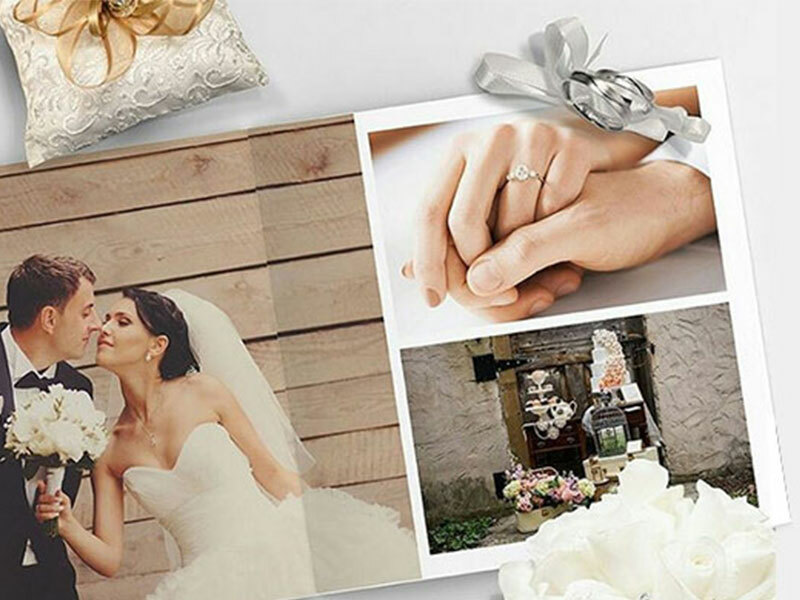 If you’re a wedding photographer, you might want your design to suit photos of personal moments and special occasions. If you focus on family and newborn images, the design of your portfolio should be homely, comforting, and with a strong sense of caring. The design will build up the general appearance of your portfolio, and this might be the first impression your client will see, so make sure it represents you and shows the essence of your work. This might sound obvious, but it’s often overlooked by photographers. The name of your brand has to appear in a visible and main part of your portfolio so the clients who see it don’t forget who you are and whose work that is. It is going to be better if you present yourself as a brand instead of an individual person. Show your client that you are a serious artist who can create, design and maintain a brand with a consistent quality of work. The first impression is the one that counts, so make sure you select only your best photos. If there’s a photo that you feel don’t live up to the standards you have, don’t put it in your portfolio. Be extremely picky and critical with your photos. If the number of your high-quality photos is not enough for a portfolio, don’t settle by choosing less-than-good images. Gather more material by going out and shooting for free. Your family and friends might even enjoy it! Give discounts to new clients so you can get more projects and more chances to capture amazing shots. The bottom line is, don’t compromise with the material, as your photography portfolio deserves the best to do its job in representing your work. As a photographer, you have to develop your own style that sets you apart from the others, and here’s what editing can do, amongst many things. With editing, not only you correct what’s not right in a photo, but you also put your stamp that characterizes your work. Whether your clients are families who want some portraits or a company who asks you to take photos for their adverts, you will need to do some editing. Even though you take amazing shots and don’t feel like they need to be refined, you still need to edit them so all your photos have the same style and mood. Remember that those pictures are going to end up published somewhere, or at least hang on somebody’s wall, and you want them to be the best version of your work as a photographer. Before going to the editing process, don’t forget to select your photos carefully so they’re not so similar to each other. Nobody wants to see 5 repetitive photos with no difference. 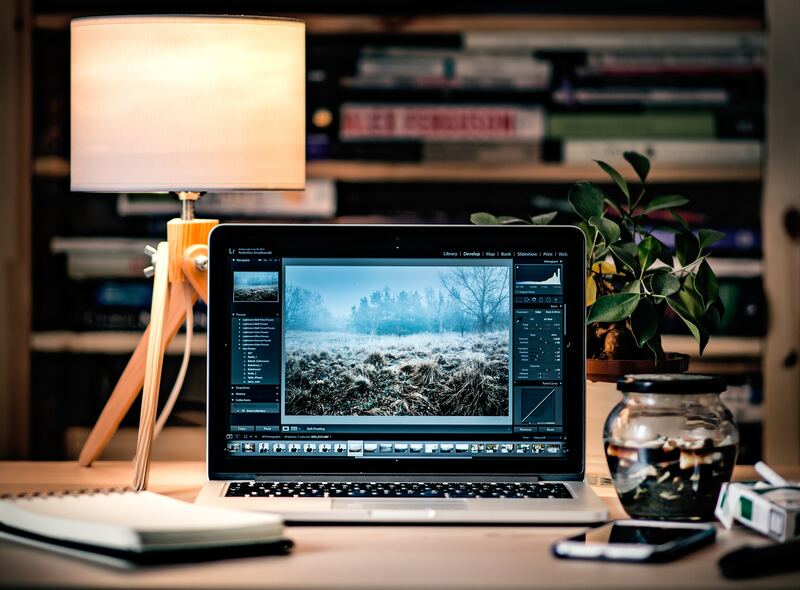 Try to find a coherence in the way you organize your photos so it will show the best of them. They don’t have to be from the same series or occasion, but there has to be a common thread that provides a harmony to your projects, so it flows from one photo to another. If this is too hard to accomplish, try to imagine you are having a conversation with the observer. You can start by asking yourself what are the points you want to get across, then you can contemplate how you want to say it, and finally, how you think the client will interpret it. There are many ways to get your clients interested in your work, and one unique way to pique their interest is by showing them the process of your job, and some behind-the-scenes photos. Again, only use photos that show you are good at your job and will deliver satisfying results, and make it interesting. Bear in mind to keep the amount of behind-the-scenes photos to a minimum, just enough to give them a glimpse. This is important to keep the focus on the actual photos that you produce, so your clients can envision themselves with you as the photographer. It doesn’t hurt to include your clients’ reviews and testimonials in a different section of your portfolio. Reading other people’s good experiences with your work will certainly help new clients to see that you’re good at what you’re doing, trusted, and that your work won’t be disappointing. Keep in mind that you don’t need to put too many photos in your portfolio. Choose only the best ones and don’t include the average ones. Sometimes less is more! The good portfolios are the updated ones, so don’t forget to keep it updated by adding photos from your newest projects. 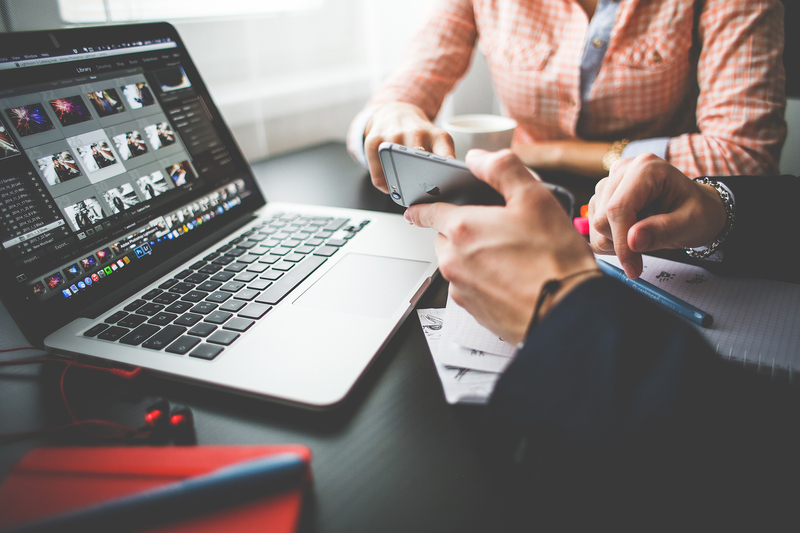 Posting fresh content will maintain your clients’ interest. What’s more, you will get better and better, and it’s good to show the progress of your work. Thank goodness we live in the digital age, where everything is made easy for us with just a few clicks. There are many websites and apps that can help you build an amazing portfolio online which you can also use as an inspiration for your portfolio book. 500px, SquareSpace, Zenfolio, and Smugmug are some you can use. The format in which you choose to display your work is personal and depends on what you like, but it’s important to decide which one works best for you. Nowadays, everything is online and it is almost certain you will have your own website, email address, and Facebook page. But it’s also known that professional photographers print their work at some point, and a printed portfolio does have the edge over the digital one. 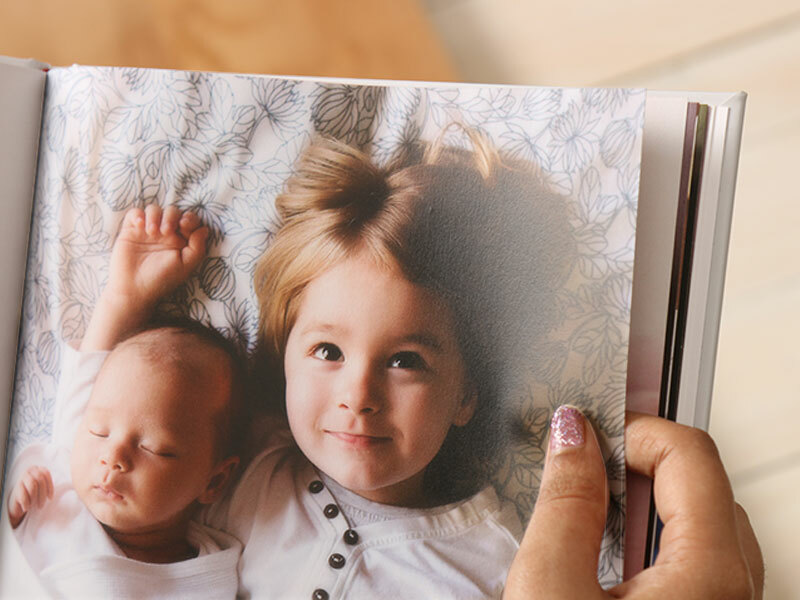 It’s easier for clients to appreciate every detail of your photos and to imagine their own in a printed format. On top of it, a printed portfolio will give clients the idea of a serious, reliable brand. Either you choose to make a printed portfolio or not, we strongly recommend you to also create an online photography portfolio, as its ease of access will reach more clients, something that printed portfolio can’t do. 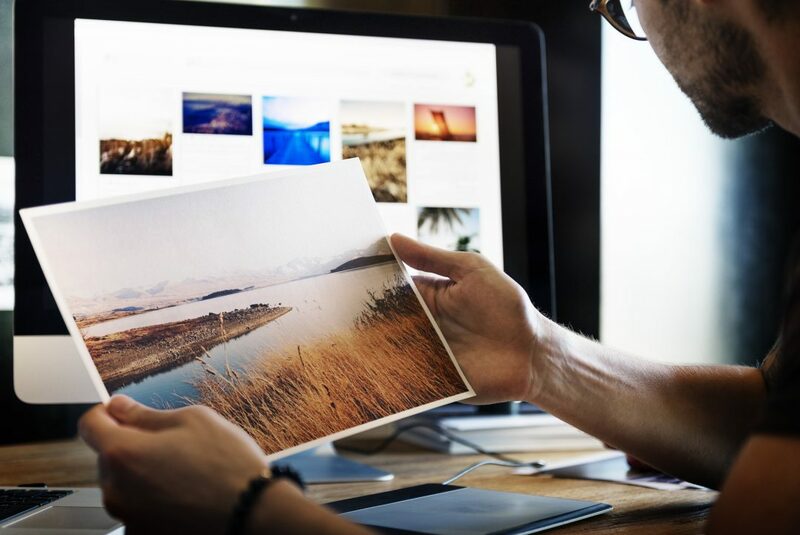 When you decide to print your portfolio, your photos should be big enough to let people appreciate the details, but they also have to be easy to handle. You can choose a 10 x 13 inches size to let them stand out. Of course, there are some exceptions. 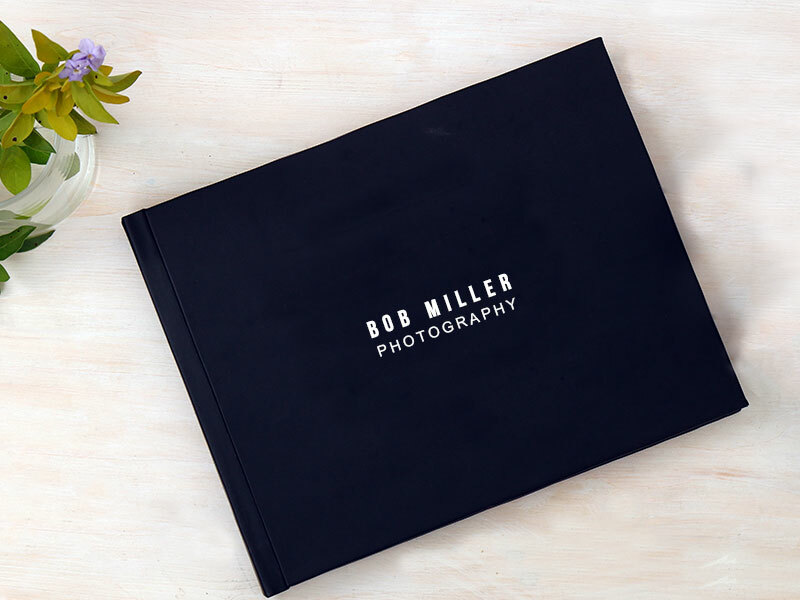 Some photographers make an impression by showing up with an 8 x 5 inches portfolio book that can be easily carried in the pocket (this smaller print, of course, is also cheaper). Whichever you choose, make sure it suits your purpose well, and it can show your work and the details in all the glory. If you have a portfolio book, don’t forget to include the links to your social media and your online portfolio. Curious people usually want to know more about the photographer they’re going to hire, so make it easier for them by providing the links to your work online. 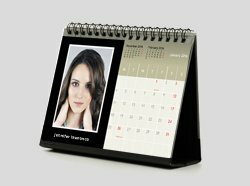 On the other hand, you can also show them the look of your portfolio book on your online portfolio, so they have a better visualization of how your photos will look in an album. If you want to mix the two formats, a CD is a good way of doing that. Be original and creative, and dare to create something different. If it’s great for you, it probably will be for your clients. How about making a useful portfolio, something that the clients can actually use? Your clients might want to keep it. A cork board or an eco bag can be excellent and useful things to get your brand on. Don’t be afraid to look at other photographers’ portfolios and check if you are on the right track, and how to get better. Learn the details of how they arrange the photos, the flow, and what kind of photo that gets your attention the most. Make a mental note, and apply that to your own portfolio. When you find someone who is better than you or has been in this for longer, don’t miss the opportunity to share your work and ask for opinions. They can offer you different perspectives of what you’ve been working on. They will be able to see things you can’t about your own photos. Constructive feedback will help you change what you’ve been doing wrong, and positive feedback will encourage and push you to keep on working on it. Once you’ve built up your whole portfolio, share it with potential clients at events. There are organizations that put together this type of events, so get in touch with them, and get involved in getting your portfolio out there. The best way to get people to use your products (in this case, your service as a photographer) is to connect with them personally, so make sure your portfolio helps you with that. Sure, a technically good photo is great, but you can add value to it by bringing something else that can evoke your clients’ feelings and emotions. For example, if you’re a wedding photographer, you can put a photo that shows the bride’s emotional parents upon seeing her for the first time. Or if you’re a maternity photographer, you can put an image with the mother showing a soft expression of love, or the interaction between the couple. A good tip is to put some photos that show expressions, as people can usually relate through this. If you are a multifaceted photographer and you have many different types of photos, try to include a sample of each project so people will get a good idea of your work across different areas. If you focus your work on an area (for example, wedding or maternity), it’s also good to have photos from different occasions/sessions to give a variation to your portfolio, and also to show that you’re capable (and good) at working in various domains. You need to start strong to get your clients’ utmost attention from the very first page, but it’s equally important to end strong in order to leave a lasting impression. So put some of your very best shots at the beginning, but save some them for the end as well. We hope these tips can help you make a photography portfolio that engages potential clients and drive sales! 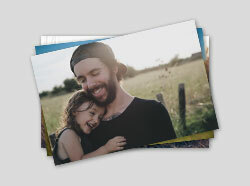 If you’re thinking of printing your portfolio, Photojaanic would love to help you. 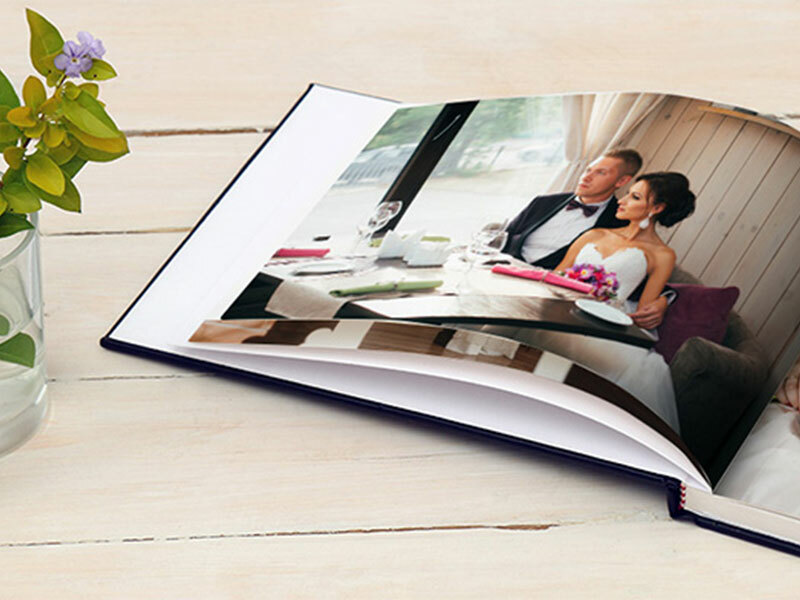 Check out our selection of premium photo albums with high-quality paper and ink to start creating an amazing portfolio that will wow your potential clients! Great article! Especially where you talk about showcasing the best work as most of the client will judge skills and talent on the bases of portfolio. Possible situation that most client will end up seeing your portfolio online, therefore it’s essential to have one. Recently I have shifted to Pixpa it’s a great platform for photographer. © 2019 photojaanic.com. All Rights Reserved.